That’s right folks. 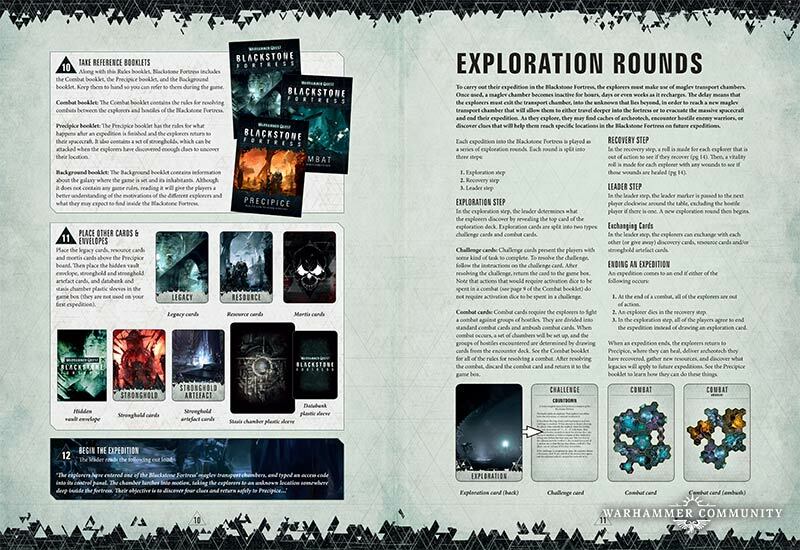 Step right up and have a look at the contents of the upcoming Blackstone Fortress. 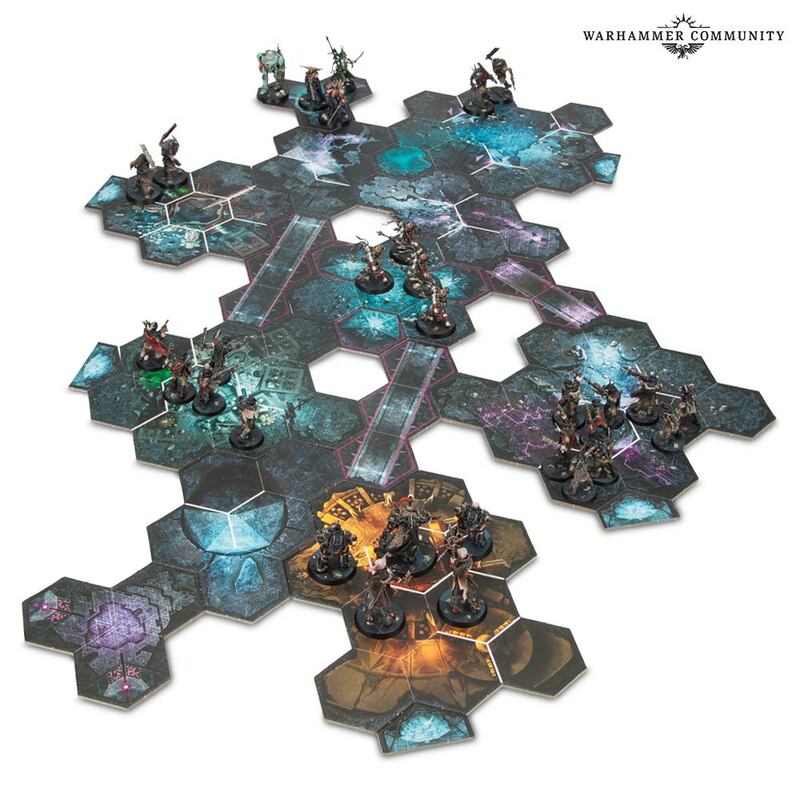 Minis on the sprue, off the sprue, cards, datasheets, everything. 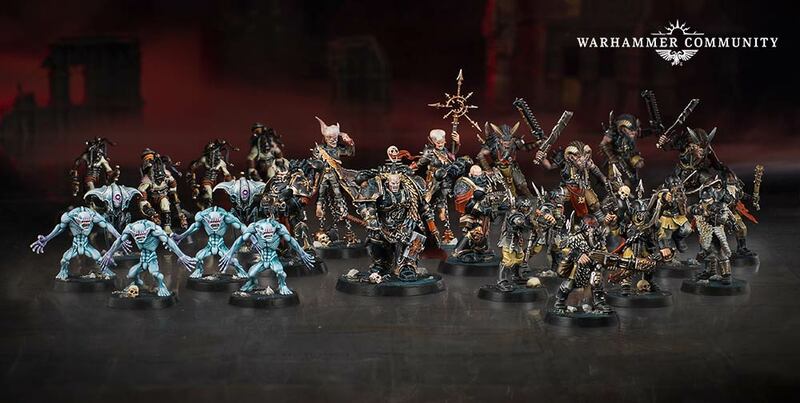 The game looks massive, and like it combines some RPG and legacy-lite mechanics to bring an innovative new experience to the 40K world. Let’s dive in. 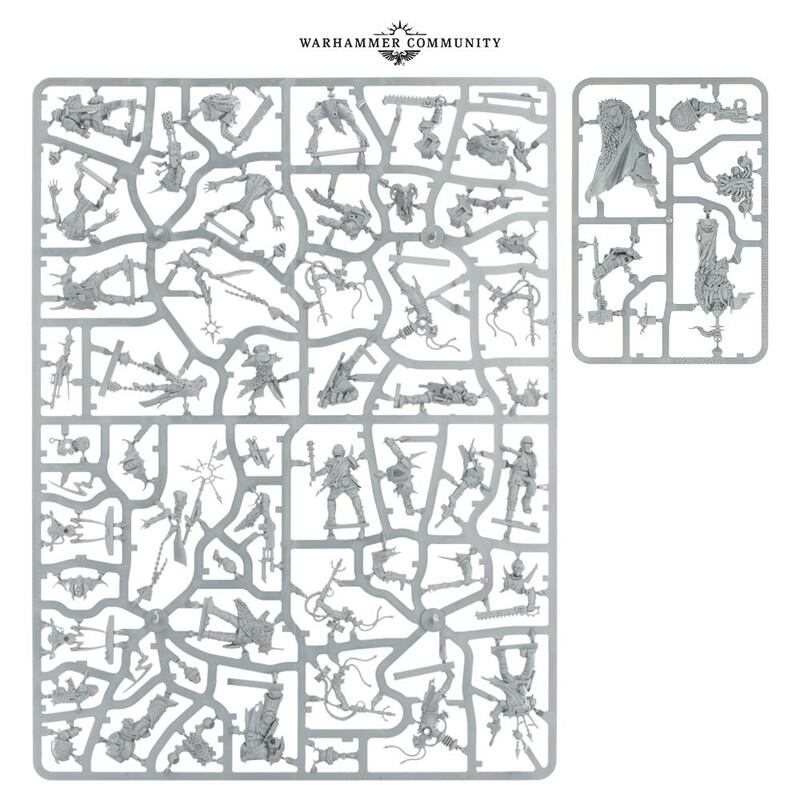 First up, here’s a look at a few of the sprues you’ll find inside the box. As you can see it’s all colored plastic and incredible detail. The heroes are in red, the villains are in grey, no fuss no muss, easy to figure out. And easy to build–I see a few push fit type pegs in there. 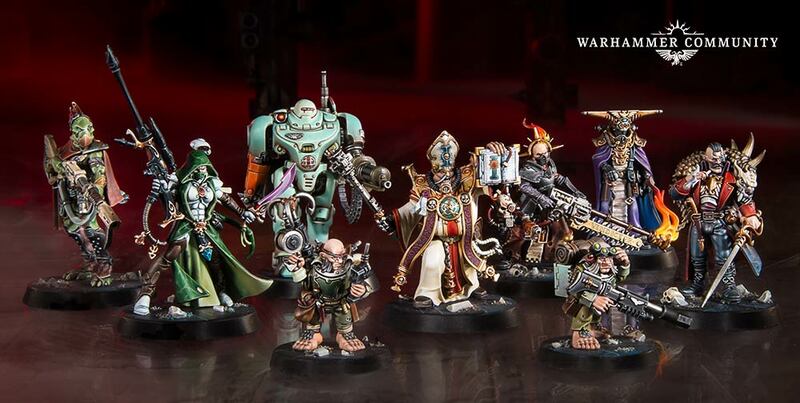 Which is where GW is going with some of its more wide-appeal stuff. 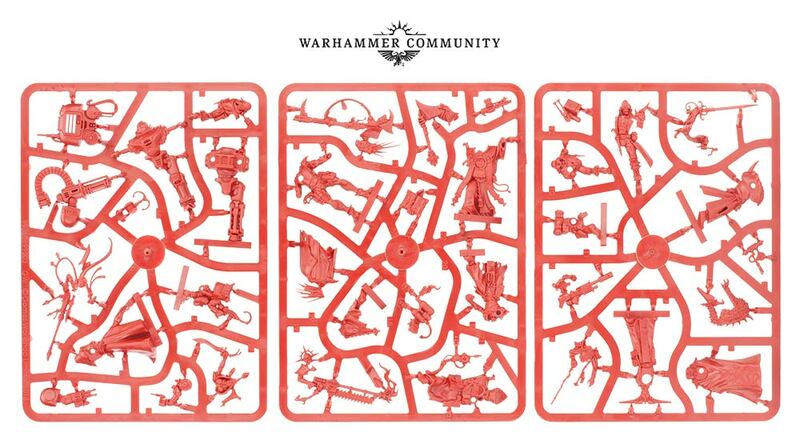 All of these look amazing when put together, and again, it’s just a reminder of the sheer variety and number of minis you’ll find inside the box. But wait, there’s more. 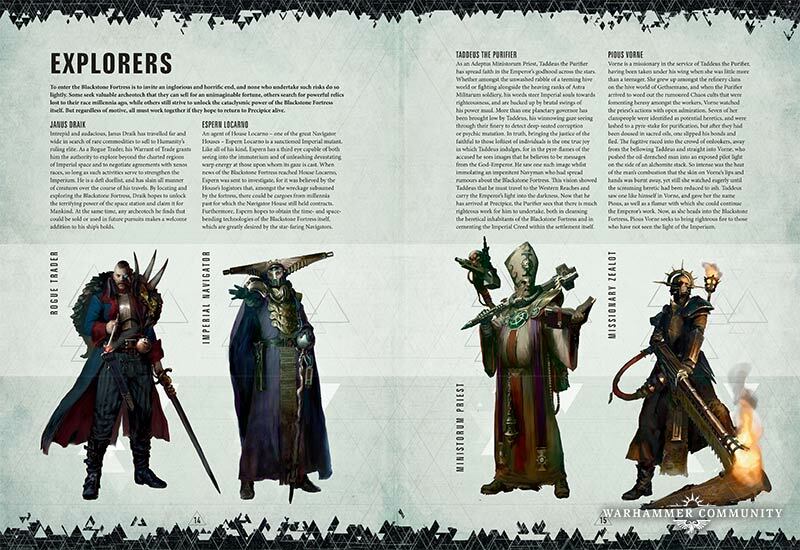 In addition to the rogue psykers, negavolt cultists, ur-ghuls, robots, and drones, you’ll also find enough rules to shake a stick at, unless I’m mixing my metaphors. 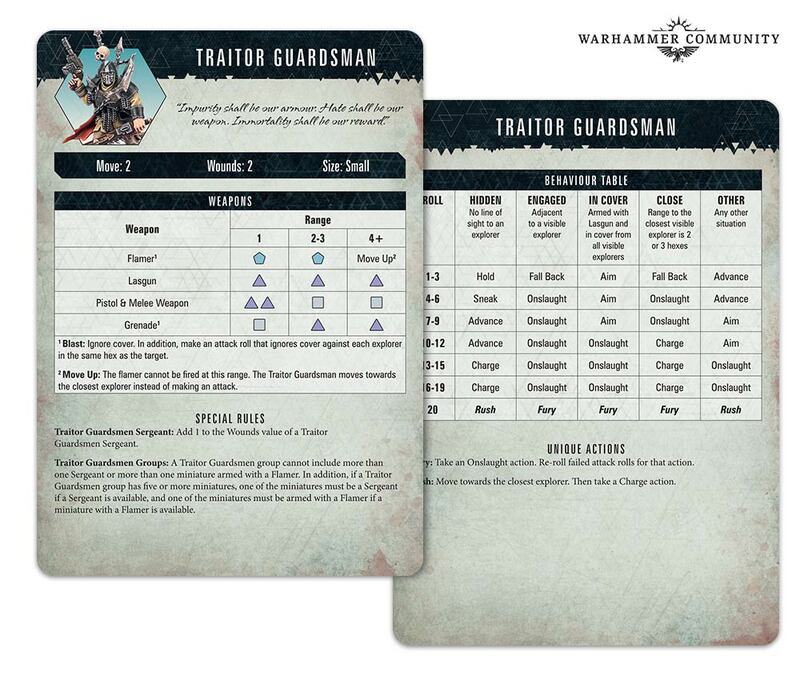 Rules for the starting town, rules for the rules, and in all of it a ton of lore and datasheets for 40K. The game runs on cards. 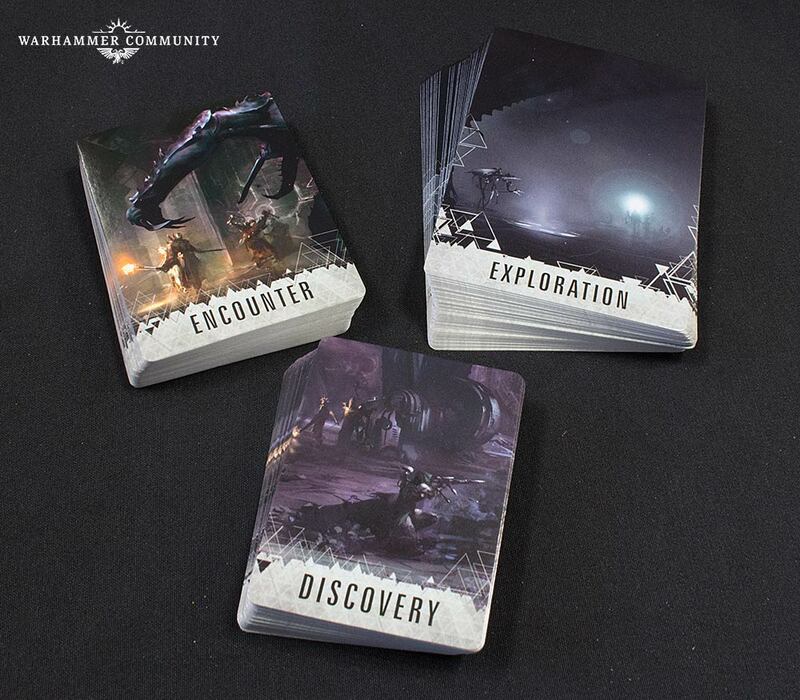 You’ll have cards for your explorers, cards for your enemies, and cards that help you run the game. 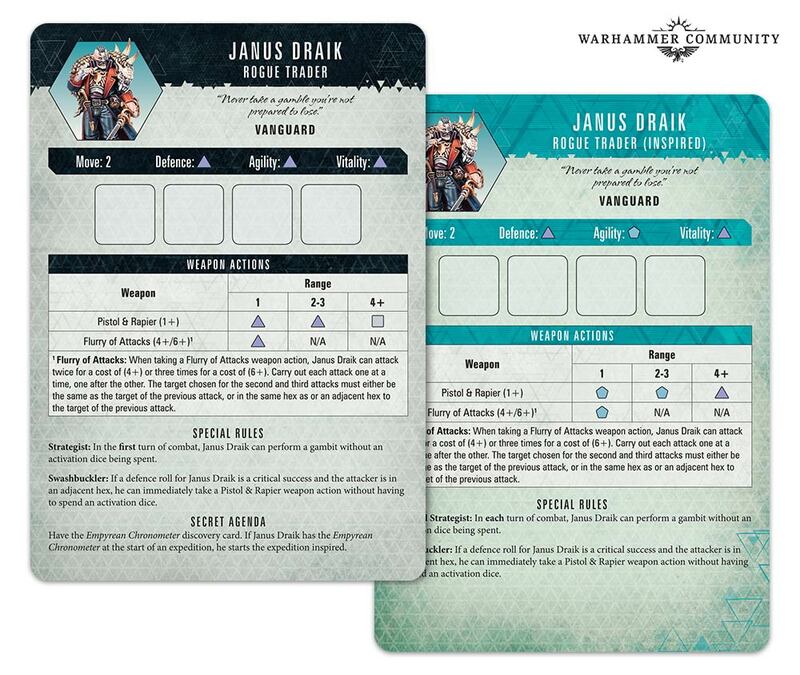 …cards that help you run the game, with three separate decks functioning as the game’s GM. 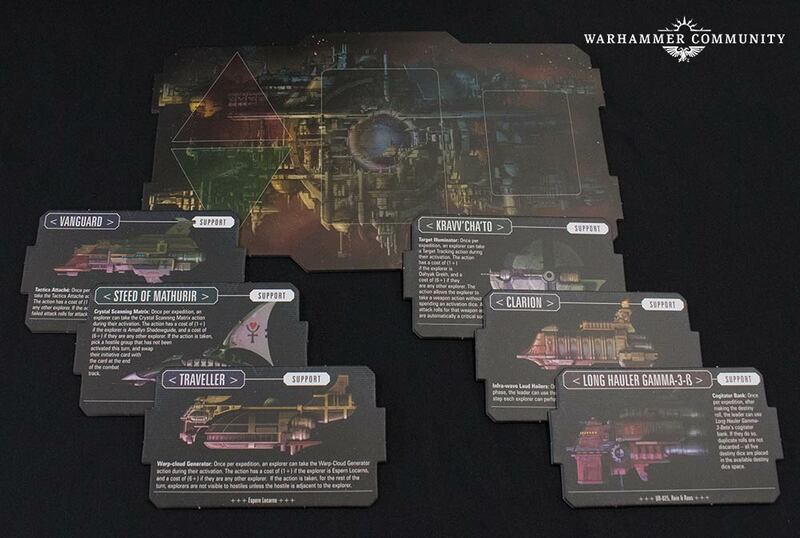 There’s even cards you can trade with, in the form of six roving ships that you’ll encounter from time to time throughout your game. Which highlights one of the cooler features of the game. 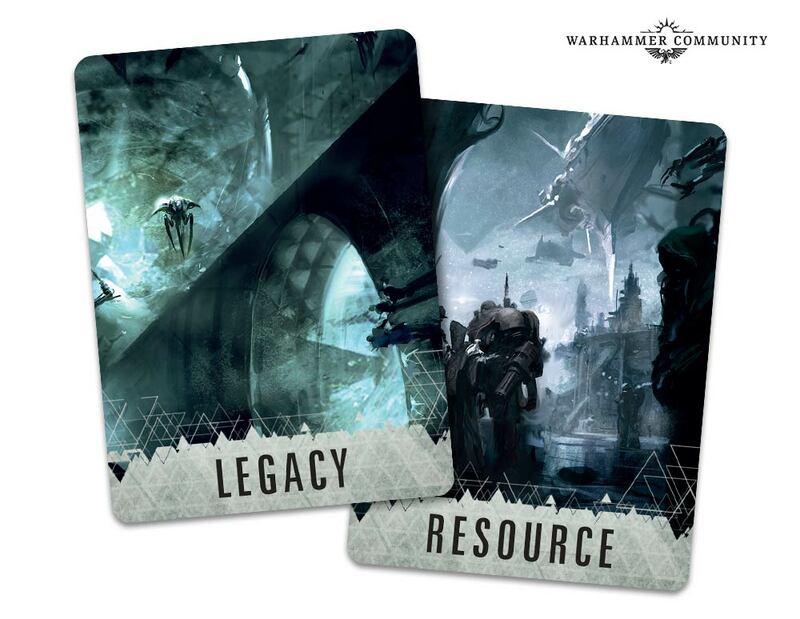 It’s got legacy-ish elements, which means that the game is meant to be played over several sessions, with your characters and the fortress growing and changing and having new elements revealed as the game goes on. 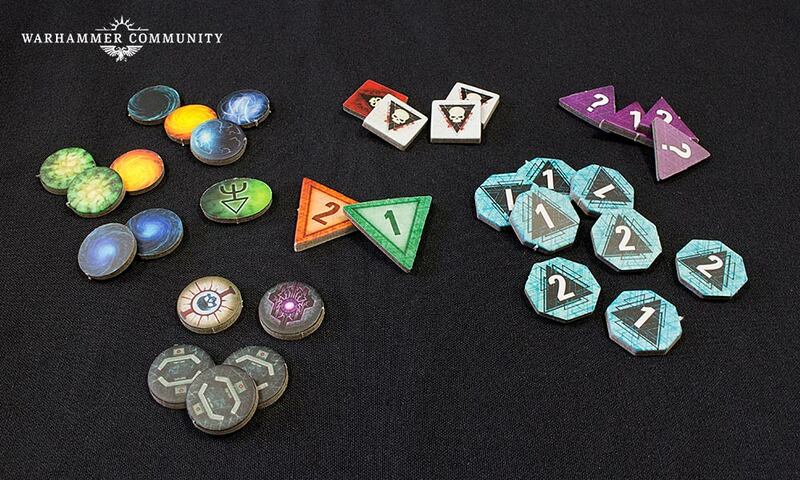 The board will shift to reflect various scenarios. And your explorers will find the Fortress is never the same each time they venture inside. But it all leads to one thing. The secret at the heart of the game. What lies inside the mysterious vault envelope? You’ll have to find out for yourself. 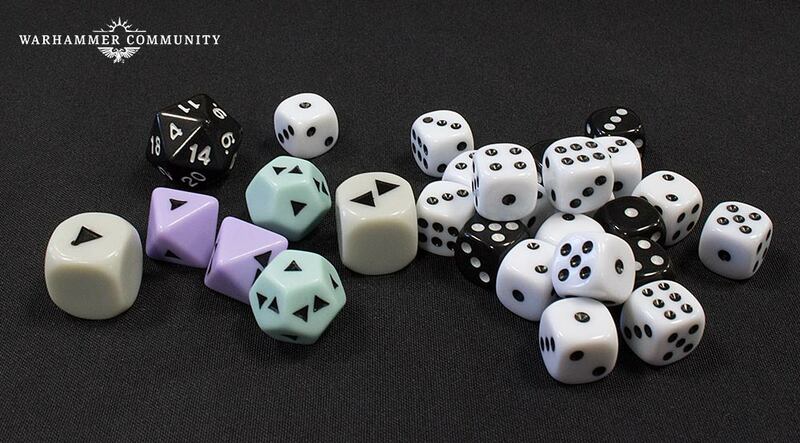 In the meantime, here’s a look at the dice, and the tokens and various other accessories you can use. As well as the hermetically sealed databank where your characters can be stored. Note the pinnacle of plastic bag technology employed here. 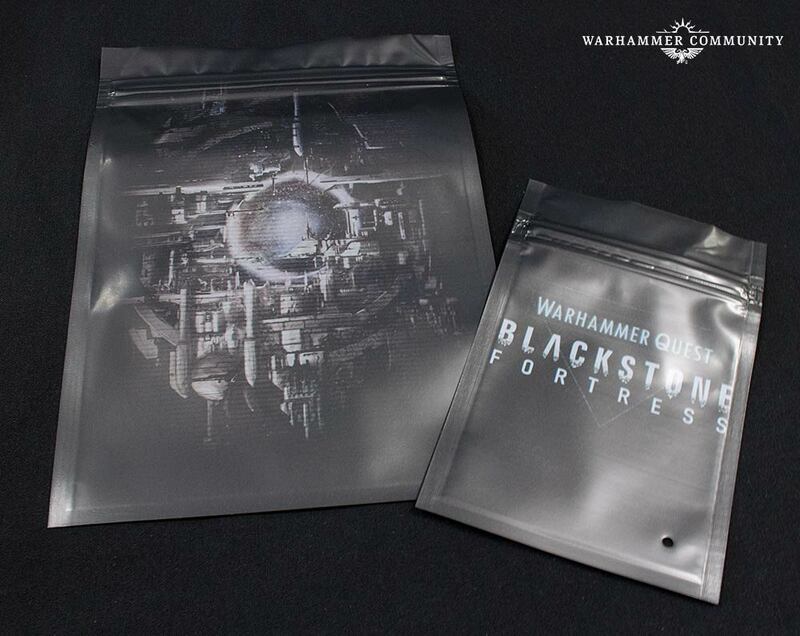 And barring some unexpected reveal, that’s everything you’ll find in Blackstone Fortress. Again, this box is hefty, the miniatures are gorgeous, you’re going to want in on this one folks. Navigator for life here. 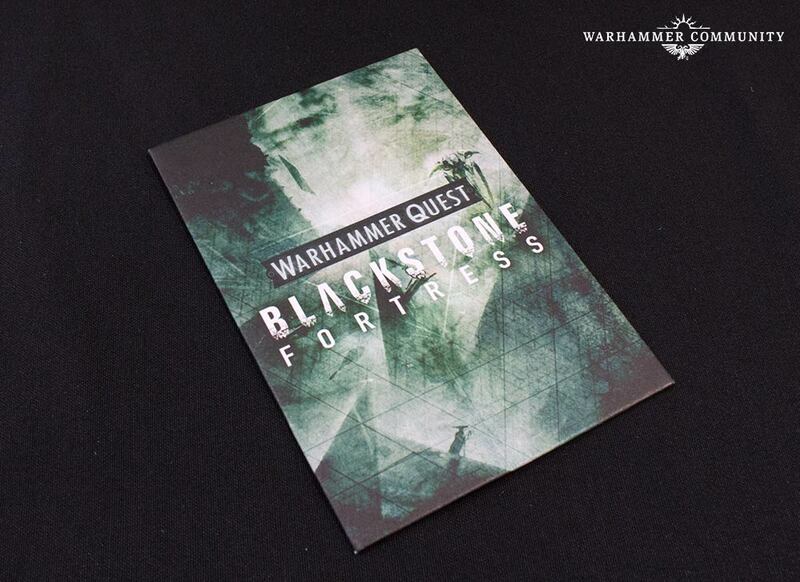 What hero will you take inside the Blackstone Fortress?